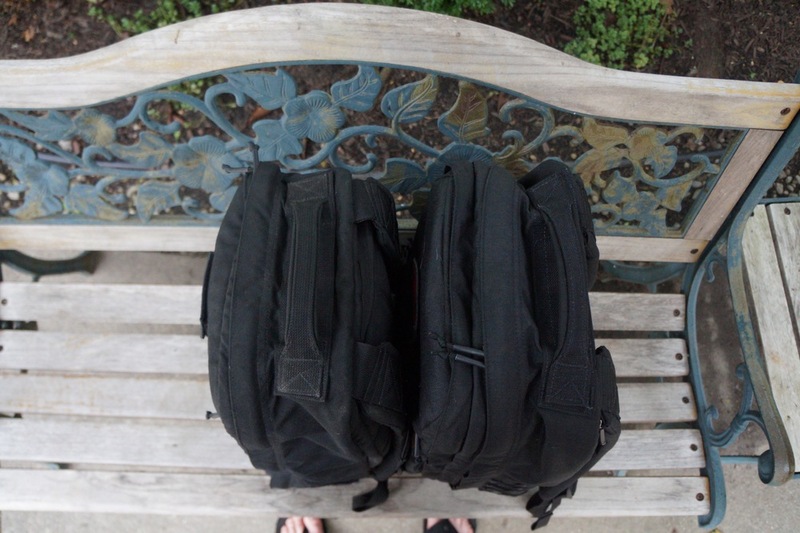 Last week Goruck released their newest addition to the “original” ruck lineup, the GR2 34L. The GR2 is no new ruck to their lineup, although the smaller 34L as opposed to the original 40L is fresh out of the warehouse. The new smaller model is the same build as the original just shortened down to the height of their best seller the GR1. The price is the same at $355 and only comes in black so far. I have had my GR1 for the last few months and have absolutely loved it. I have taken it glacier hiking in Colorado, 4-wheeling, fishing in Wisconsin, and used it for daily use almost everyday. It is an absolute beast of a bag and I doubt I will ever buy another backpack or duffle from another company. With that being said I did find one major drawback from the GR1 and that being the lack of storage compartments for the size of the ruck. Before the release of the GR2 34L I was dreaming of breeding the GR1 with the GR2, thankfully Goruck read my mind. I managed to get my hands on the new GR2 34L decently quick and want to share the new size compared to the GR1 with you all. This will not be a review just yet but a comparison. First off from the front the bags size up almost the same in height and look very similar. The big difference here is the bottom of the bags where the GR2 has a slight slant to the front of the pack to give the second main compartment room. Next the depth of the bags. Since the GR2 is the same height a the GR1 but 8 liters more space you could guess that there would be some change somewhere else in the bag. I welcome this depth from the GR2 as the reason I originally could never get myself the purchase the GR2 was due to my height of 5.8 and not wanting to look like a midget with a rucksack. The width of the bags from the top seems about the same also which is great because I loved the way my GR1 sat on my back. From the back the rucks looks almost identical. Now, when it comes to the straps there is a slight change also. The width of the straps are the same but the depth is noticeably thicker. I have never owned a 40L GR2 but I assume this is the same thickness as the straps on it. I also welcome this change over the GR1’s straps as I used this as my primary rucking pack and the thicker straps the better. When viewing the rucks from the bottom it is apparent the GR2 is a bit bigger with the extra main compartment slant, although many were complaining that the slant kept the bag from being able to sit upright and I have not found this to be a problem. The last main difference would be the 4 straps of mollee on the front and sides of the GR2 compared to the 3 straps on the GR1. Knowing how much I used the GR1’s mollee straps for various things throughout my journeys I can only embrace this change as well. Overall, I without a doubt already am loving the new 34L GR2 and will make this my primary ruck and cannot wait to break it in to the point my GR1 has been. I will be selling my old GR1 is anyone is interested email me under the contact section of the website. Thanks and happy rucking! - Edit I have sold the GR1 to a reader and no longer have. However I am moving on my 34L GR2 as I have found that my GR0 works better for what I need in an EDC bag.